While Douglas Van Howd was White House Artist, he spent time with President Ronald Reagan whose love of the West and horses was evident. 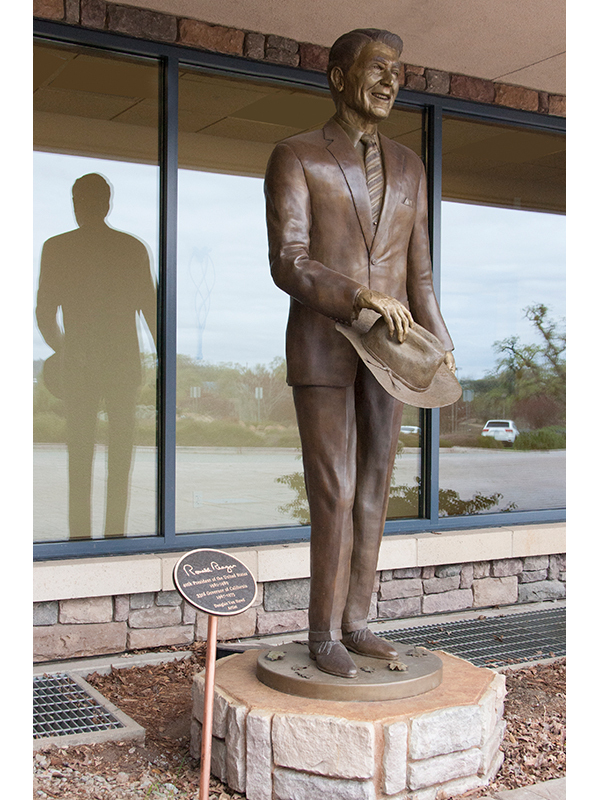 When commissioned by a private party to create an 8′ monument, Doug wanted to portray that side of him along with his presidential presence. In this monument Reagan is holding his western hat.